Prostrate groundcover with upright serrated leaves, dark green with white undersides and pink flowers. Grows best in sandy soils in part shade or full sun. Tends to be low and spreading if given the room. Grows naturally around Albany and the Stirling Ranges in Western Australia. 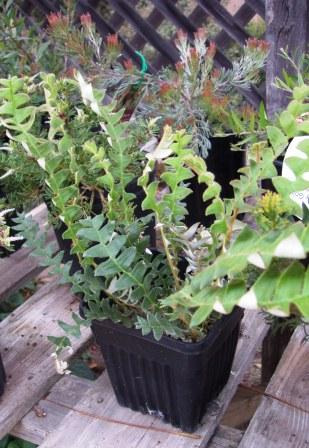 Excellent low growing shrub for smaller gardens or containers. Propagation Information: Seed germinates sporadically in approx 6-8 weeks with no pre-treatments.